The theatre is an all-around entertainment for the senses, but for those with sensory issues, not only do theatre performances often turn into torture, but when they respond to their distress, a sense of judgment quickly takes over the halls. However, that’s slowly starting to change. The true spirit of inclusiveness and tolerance has reached South Florida. Performances specially designed for individuals with sensory processing and autism spectrum disorders are presented at the Broward Center, Parker Playhouse and Aventura Arts & Cultural Center. The need for such “sensory-friendly” performances, as they’re often referred to, had long been overlooked. Children with these disorders and their parents love going to the theatre as much as the next person, but they usually face two options – going to a performance directed at a general audience and hoping to be spared of a sensory overload, or not going at all. But that changed in South Florida last year when the Broward Center for the Performing Arts introduced performances specifically designed for individuals with sensory processing and autism spectrum disorders. Elated by the enthusiastic community response, the Broward Center, in collaboration with the acclaimed Slow Burn Theatre continues the noble initiative this year with three sensory-friendly performances. 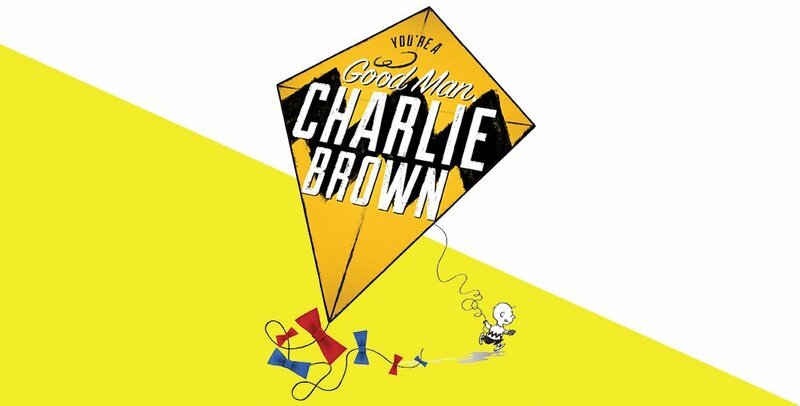 You’re A Good Man, Charlie Brown will be presented on Saturday, March 2 at 2 p.m. in the Abdo New River Room at the Broward Center and on Saturday, March 16 at 2 p.m. at the Aventura Arts & Cultural Center. And just in time for the holidays, The Nutcracker will be presented by Arts Ballet Theatre of Florida at Parker Playhouse on Saturday December 15 at 1 p.m. The difficulties that regular theatre performances pose for those with sensory processing and autism spectrum disorders stem from the productions’ three main technical elements: sound, light, and noise, or more precisely, their immense distortion in the affected person’s mind. Without proper adaptation, these factors can not only prevent such people from enjoying themselves, but even drive them to an overwhelming state of extreme stress and complete sensory overload. To children with sensory issues loud sounds become deafening, unexpected noise is extremely startling, and constant noise gnaws at them until they simply can’t take it anymore. Darkness and/or obscurity induce a sense of extreme disorientation and panic, whereas strobing lights can cause epileptic reactions. In short, the uncontrollable reactions of children with sensory processing and autism spectrum disorders couldn’t be further away from whims, and luckily, the Broward Center has a program tailored just for them. The slated productions are carefully adapted to bypass these technical difficulties without taking away from the actual stories and content of the plays. The productions include special seating arrangements, pre-curtain preparatory activities to mediate unwanted surprises and shock, modifications to stage and auditorium lighting, lower sound volumes and noise-canceling devices. In addition, there will be a quiet room available for those experiencing a sensory overload. The ticket prices are also modified and start at just $10 as the professionals behind the productions are well aware of the extra costs of raising a child with sensory processing and autism spectrum disorders. And last but not least, one of the most palpable modifications to these shows will be the complete lack of judgment and intolerance. These performances are made possible through the generous support of The Taft Foundation, The Hagen Family Foundation, and the Gore Family Memorial Foundation. The Theatre Development Fund's Autism Theatre Initiative served as an advisor.